High performance. Polypropylene backing reinforced with continuous glass yarn. Typical 380 lb/inch width tensile strength. High shear adhesion for low unit cost, heavy-duty closure of hard-to-adhere or high recycled content fiberboard. 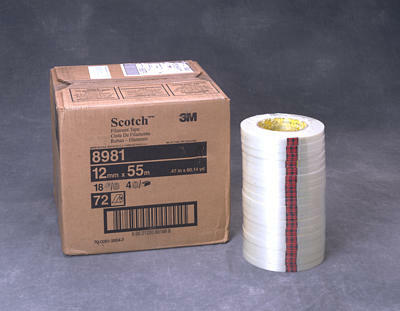 High strength box closing tapes are available for L-clip closures of non-typical box styles, such as full-overlap, five panel folders and full telescope boxes, as well as single strip closures of heavy-duty regular slotted containers (RSCs).